In a groundbreaking legal action regarding employees online postings, the National Labor Relations Board (NLRB), the federal agency that investigates unfair labor practice allegations, has filed a complaint against a company that fired a worker because of what she posted on Facebook. Posting company information or negative comments about a company have been grounds for firing in the past, with companies construing the posts as violations of company social media policy. The employee, who had posted a negative comment about her boss on her Facebook page from her personal computer on personal time, was reportedly suspended and then fired for her Facebook postings because the posting violated the company's internet policies. According to the NLRB, "An NLRB investigation found that the employee's Facebook postings constituted protected concerted activity, and that the company's blogging and internet posting policy contained unlawful provisions, including one that prohibited employees from making disparaging remarks when discussing the company or supervisors and another that prohibited employees from depicting the company in any way over the internet without company permission." 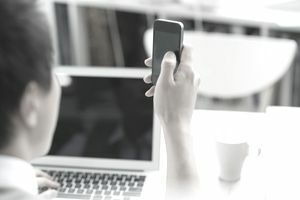 The NLRB complaint also alleges that the company, American Medical Response of Connecticut, Inc., and maintained and enforced an overly broad blogging and internet posting policy. Be Careful. Employees need to be careful about what they post. You can still be terminated, even if you were right, if you violate a lawful company policy or the law itself or if your speech isn't otherwise protected activity. That is a lot to have to worry about, so if you have a legitimate company and your goal is to fix a problem at work, what often is the most effective is to follow the company policy for reporting workplace issues. Employers should think twice before terminating an employee for posting information online to be sure they are in compliance with the law. Employers should review their social media policy to be sure they aren't limiting protected employee speech and to be sure employers are reasonable. Reasonable policies do include the right of employers to restrict the use of company equipment and spending company time on non-work activities. These policies need to be consistently enforced. When an employee is fired for posting on Facebook or another online site, they have the right to access the NLRB for assistance. Representation will be determined on the basis of the termination and on whether the information posted was protected by the National Labor Relations Act.